The flight from Calgary to Chicago that brought me to the MLA meetings yesterday is about two and a half hours in the air, which, as luck would have it, is the length of The Witmark Demos. I listened to them in their entirety, which meant that it was the first time I skipped ahead in this project – the collection covers 1962 to 1964. Without the liner notes I wasn’t sure where to stop. 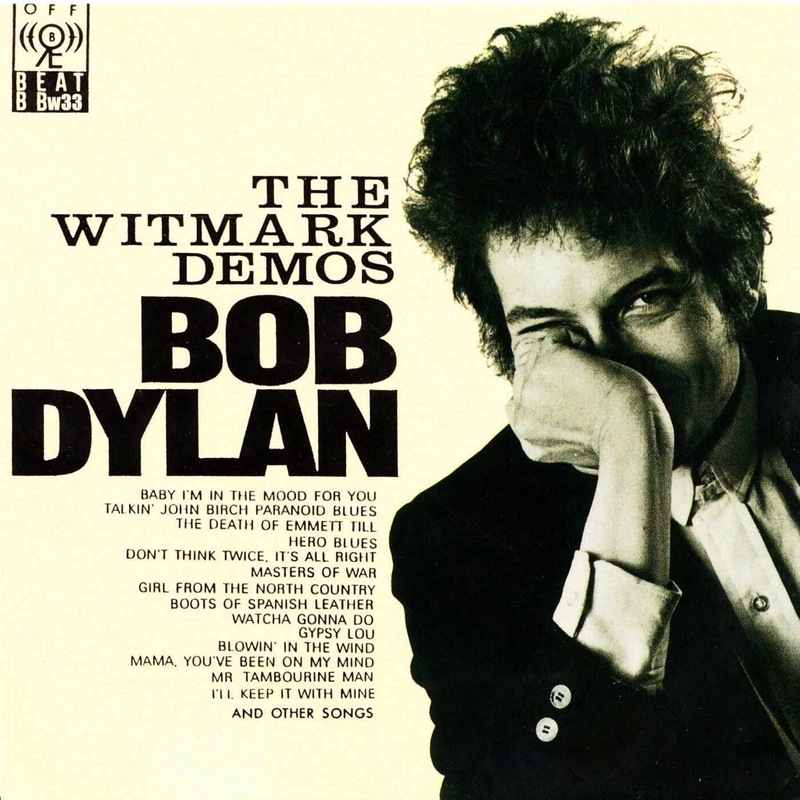 It’s just as well – the demos play like the great early-Dylan album that Dylan didn’t release. Dylan initially contracted his song publishing to Leeds Music (hence the bootlegs of that material) but switched later in the year to Witmark. Some of what he recorded in their offices were songs he had no interest in for himself, and which he hoped others would record. Others are him getting down the lyrics and tunes for rights purposes. 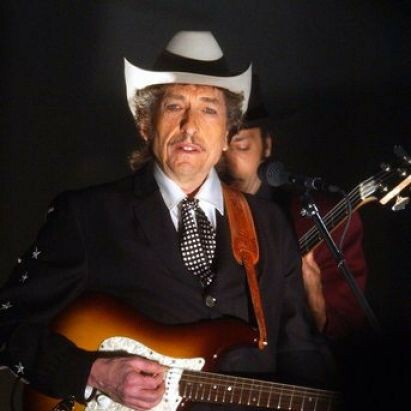 The recordings are rife with false starts, verses and lines sung multiple times for the sake of clarity, and spoken asides where Dylan says “I’ll write this out for you later”. It’s a very intimate recording, perfect for a plane trip. Listening to it all, I found myself wondering why I preferred it so strongly to Bob Dylan, the self-titled debut album. I’ve now listened to that album once per day for five days and I like about half of it. Actually, I’d keep exactly seven of the thirteen songs. Not a terrible ratio, but not fantastic. According to Robert Shelton, Dylan sort of agreed. The five month gap between recording the album and its release meant that he semi-disavowed it by the time it came out – he’d moved on, essentially. So I asked myself, based on his recorded demos and the tapes made after the Bob Dylan sessions and before the album came out, could he have made a stronger debut? The songs that I’d keep are Talkin’ New York, Man of Constant Sorrow, Pretty Peggy-o, Highway 51, Gospel Plow, Song to Woody, and Baby Let Me Follow You Down. I would put House of the Risin’ Sun on the maybe list – I don’t really care for it, but given Dylan’s debt to Dave Van Ronk it probably should be there. So what would I have added? More songs by Dylan. The album has only two, but I think he should’ve considered I Was Young When I Left Home, Baby Please Don’t Go, Man on the Street, and Standin’ on the Highway. I’ve already written about I Was Young, which is great and beautiful, and the others are all good. None are overlooked classics, but they’re more interesting than his version of See That My Grave is Kept Clean. The omission from the debut album that seems strangest in retrospect is Hard Times in New York Town, a very witty and charming song that pops up on a lot of Dylan’s live recordings during the year, but which doesn’t make it onto the album. There was a lot of strong material that fell through the cracks between Bob Dylan and Freewheelin’, some of it sort of mystifying in its lack of release, but none so much as that. A few explanations seem to suggest themselves for the choices he made: timidity – Dylan, who was incredibly young, may have been reluctant to expose himself to that much scrutiny; traditionalism – other folk artists, like Joan Baez, released albums of standards, so why shouldn’t he? ; and, I think most importantly, the fact that the singer-songwriter tradition was not yet so much fixed. It would take Freewheelin’ to make that happen.